We’re in the papers! 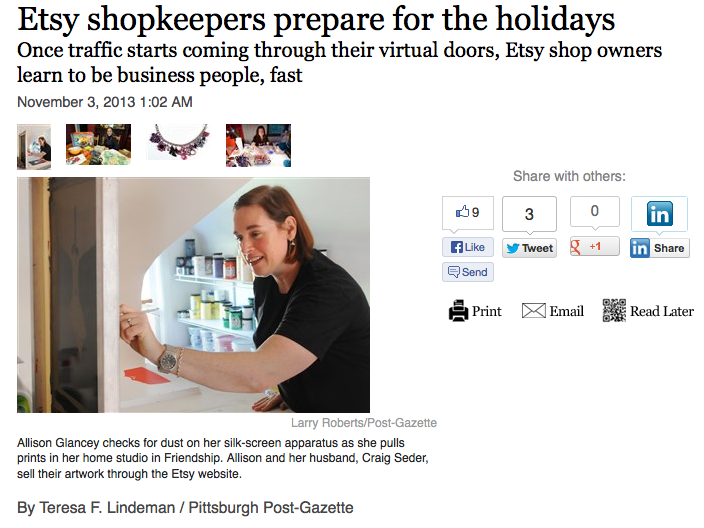 Pittsburgh Post-Gazette profiles strawberryluna & Etsy Shop Owners. We had the real honor of being interviewed by The Pittsburgh Post-Gazette’s Teresa Lindeman for her profile of 3 Pittsburgh Etsy shop owners (like our own Etsy shop here) about our holiday shopping season preparations just a couple of weeks ago. She was super lovely and fun to talk to on a bright Monday morning, and brought photographer Larry Roberts to our studio along as well. 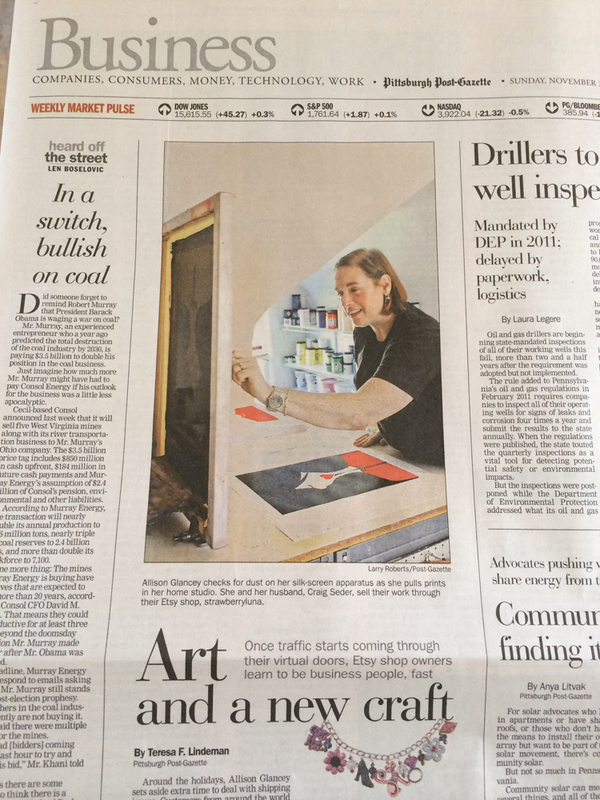 Imagine our surprise when the article received the coveted slot on the front page of the Sunday edition Business section with Allison printing away! The profile is a cool, in-depth look into how sites like Etsy are shaping business, craft, and handmade into a growing sector of the American economy by fostering the handmade, maker movement. Also profiled are Sara Baldauff of CraftySara and Kathy Hartman of Sparkle City Jewelry. You can read the entire article here at the Pittsburgh post-Gazette’s website. 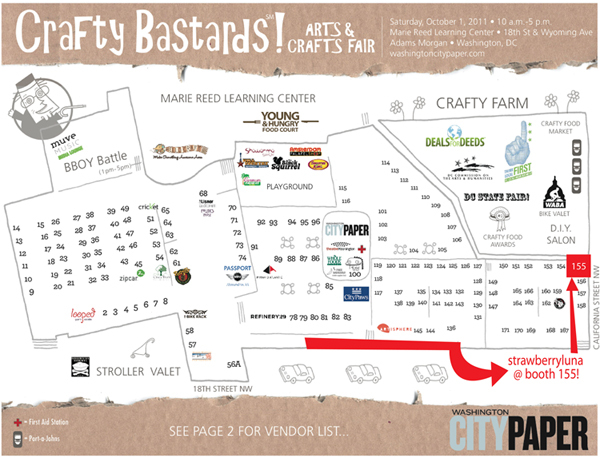 Renegade Craft Fair Chicago – here we come! 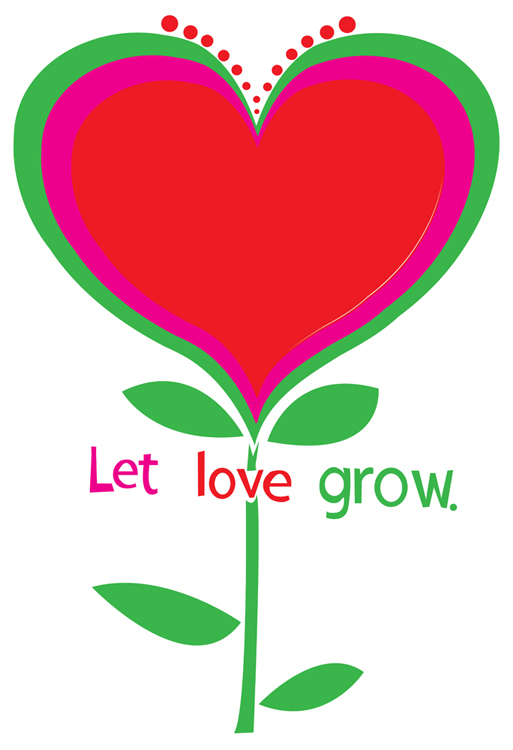 Click for more info about Renegade Craft Fair! On the road again! Hello Chicago! 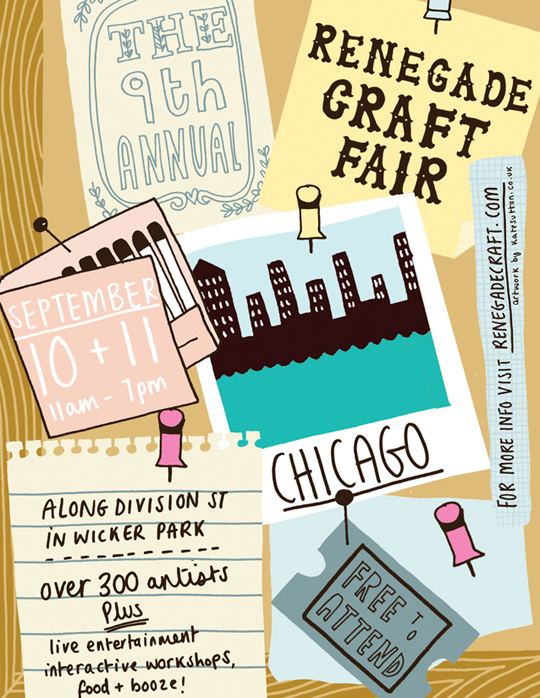 We’ve been so busy working on new things & packing that we almost forgot to post about our next craft fair, the awesome and 9th annual Renegade Craft Fair in Chicago. 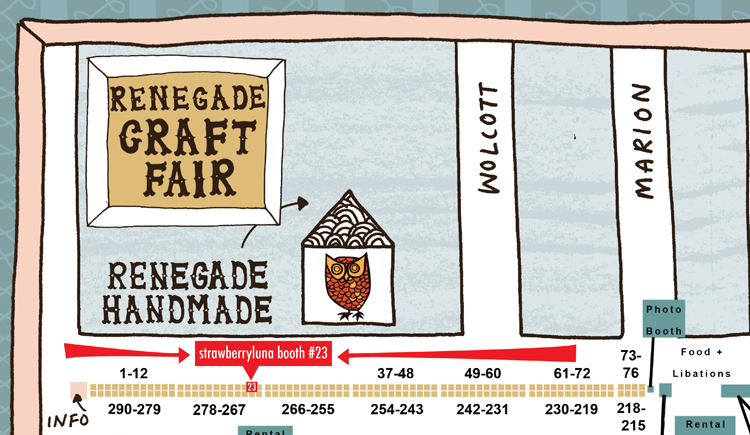 We’ll be in attendance and vending from our booth, #23, check the maps below, and we just can’t wait to see The Windy City again and be a part of the amazing Renegade Craft Fair once again this year. Renegade Craft Fair is such a special and amazing, totally FREE event featuring over 300 artists working in just about every Handmade field and medium you can imagine. 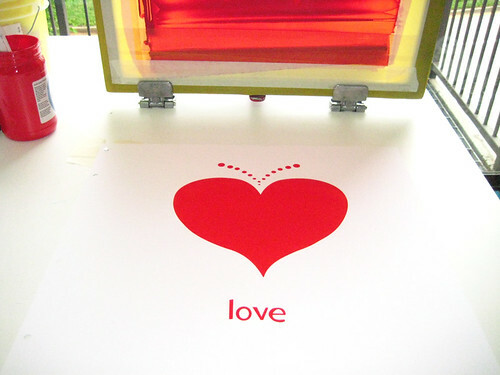 We’ll be among those lining 6 full blocks on Division St. in Wicker Park with a whole slew of fresh new prints, posters, and the debut of a new line of t-shirts for the little ones and the grown ups too. Yep! Come one, come all. So drop by booth #23 and say hello! Detail map, click for the full Renegade Craft Fair Map! What: Renegade Craft Fair Chicago is always free-to-attend, Chicago’s biggest and best indie-craft eventwill feature over 300 of today’s brightest makers of handmade goods, live entertainment,hands-on crafting workshops and so much more! Food, beverages and libations will also be available! Where: Chicago, IL in Wicker Park on Division St. from Damen to Paulina. 6 huge blocks! When: 11am – 7pm both Saturday & Sunday September 10th & 11th, 2011. Why: Because Handmade Is Best. 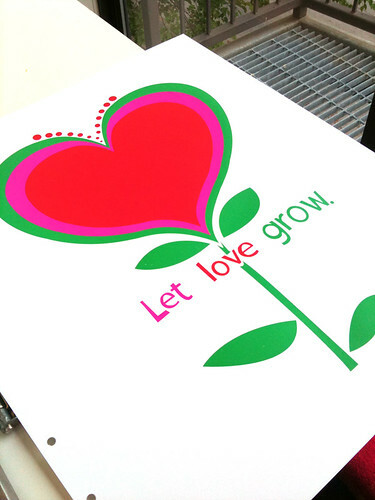 At the Renegade Craft Fair you can expect to find only the best indie-craft and DIY artisans! Featuring both local and national talent, shoppers can anticipate a vast array of independently designed jewelry, clothing, paper goods, home + garden goods, posters, artwork, plush objects, bath + body products, and so much more!! Check out the amazing artists who will be participating in this year’s Fair! 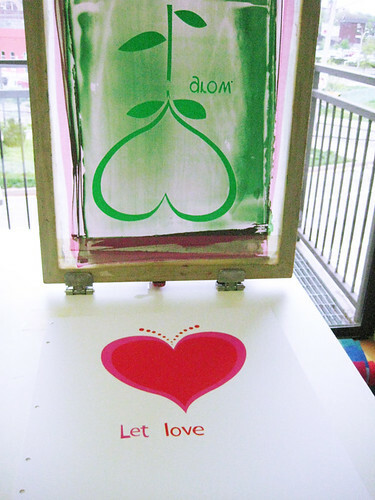 For more information, click here to see the full description by the Renegade Craft Fair. See you there! 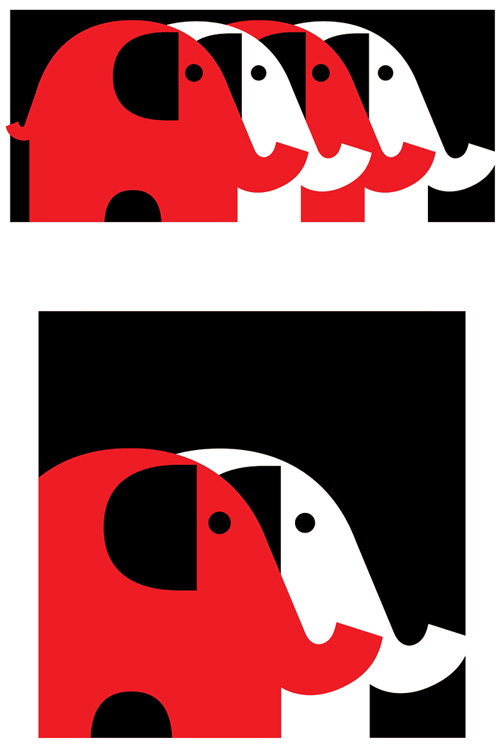 Sneak peak at 2 new art prints debuting at Renegade in Chicago. 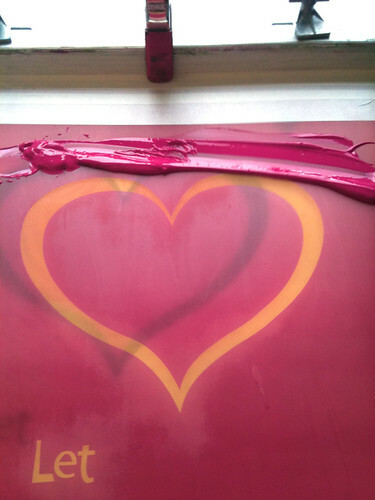 DIY art and culture lives, thrives and has been gaining a massive resurgence in the past decade. The growth of hand crafted work, arts and crafts that could easily have been made by machines and digital media, but wasn’t, by choice of the artists, is astonishing and rad. One artist, director, craft show creator (Art vs. Craft), retail craft store co-owner (Paper Boat) and all around superwoman of DIY, Faythe Levine also undertook the writing of a book and making an extraordinary documentary film about this movement beginning in 2006. 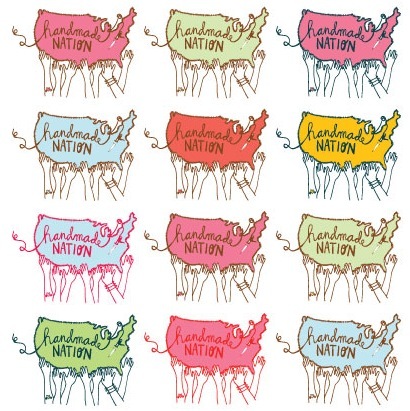 The film is called Handmade Nation and is just beginning to screen all around the country, and the newly released book is called Handmade Nation The Rise of DIY, Art, Craft, and Design. Both authors Faythe Levine and Cortney Heimerl are touring the US and abroad with their film screenings and talking to folks about the passions and work of folks who make art and crafts with their hands. Both the film & the book have been highly anticpated for 2 years and counting. I can’t wait to see the film and have the book in my wishlist, ready to come home any minute now. For screenings, or to book a screening (they welcome the inquiries) check out the Handmade Nation website and/or the Handmade Nation blog. The Handmade Nation book is available here, and for more photos, visit the Handmade Nation flickr page.